Ballet de l’Opéra en tournée à New York. Lincoln Center Festival, Friday July 20th. Eurydice : Marie-Agnès Gillot; Orphée : Stéphane Bullion; Amour : Muriel Zusperreguy. It is not possible for me to be unbiased when it comes to Pina Bausch’s Orpheus and Eurydice. I first saw it when I was one of those third year girls. “You know, American college kids. They come over here to take their third year and lap up a little culture… They’re officious and dull. They’re always making profound observations they’ve overheard.” Yeah, guilty on all counts, BUT I did manage to “lap up a little culture” as Jerry Mulligan so dryly notes in An American in Paris. I fell in love with Paris, and more specifically but certainly not exclusively, its ballet. Orpheus and Eurydice was the first time I saw the Paris Opera Ballet, my first opera, and the first time I saw a performance at the Opera Garnier; obviously Orpheus and Eurydice holds a very special place in my heart. Honestly, though, I don’t remember a lot about the ballet itself; at this point I had stopped dancing completely for three years (it would be another two before I was forced back into class kicking and screaming… another reason to love Paris) and hadn’t begun my ballet history education. I hadn’t heard of Pina Bausch; more seriously, I can’t swear to even knowing who George Balanchine was. Yeah, that level of ballet history education. 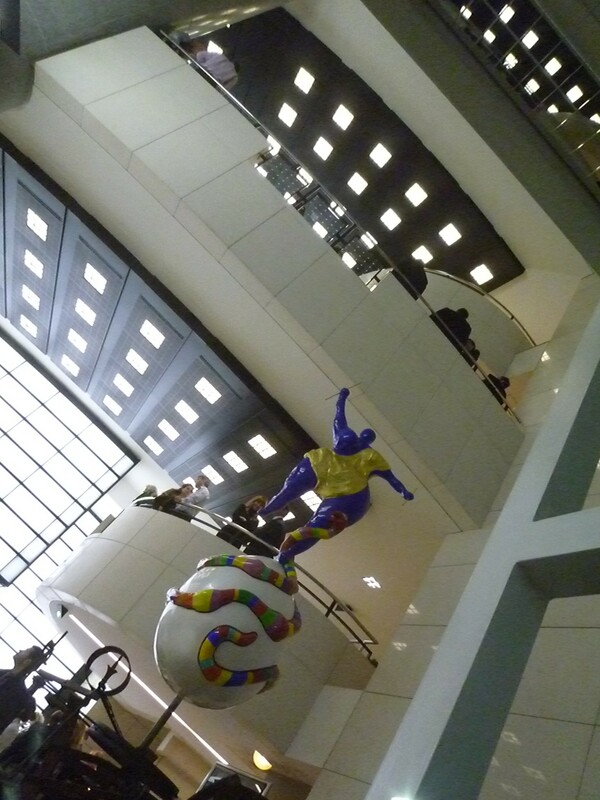 Here’s what I do remember thinking: “This is awesome.” Also, I was so distracted by the beauty of the building that I almost fell down the main staircase on the way out. Well, I’m still that clumsy, but I’d like to think I know a bit more about ballet now than I did four years (seriously?! Four years?!) ago. So, the verdict from years later? I loved it, really. However, I don’t think this is something that I would get excited about seeing every year. Emotionally, it’s heavy and sometimes hard to get through; you do not come out of that theater uplifted, at all. Yes, the dancing was gorgeous (for the most part, more on that in a moment) but, at least personally, I was way too caught up in in the overall feeling of the piece to notice a lot of choreography. Most strikingly, in Bausch’s mind, is there a difference between mourning and peace? Because that choreography seemed eerily similar. For Bausch, it seemed like peace is more the absence of external stimuli than an emotional state originating from a person. Everyone in the Elysian Fields was a zombie. I could more readily accept that idea in Mourning; that level of grief (for a dead spouse, just for example) can numb you completely and take you out of this world, but peace? The Elysian Fields are where the ‘good’ souls go. Growing up with the idea of Heaven and Hell (paradise vs. eternal torture) it was strange to see a ‘Heaven’ filled with yes, peaceful, but also empty souls, especially after seeing how awful Hades was. Eurydice was no exception to this; she recognized Orpheus and took his hand, but it wasn’t until halfway between the underworld and the mortal world that she started caring. Oh, but when she cared… That was some truly gorgeous dancing. What I really did love was the idea of circles. We begin with Mourning, moving through violence and peace (both stages in the mourning process) and end with? Death, more mourning. You could almost take the whole ballet as a meditation on the grieving process and even on the life’s cyclical nature. We begin with grief of the deepest nature; in the opera Orpheus literally uses his wife’s name as a cry of pain. We see the Violence (second movement) and anger of losing someone, and in this case, Orpheus’s determination to get them back. Peace, at least for Eurydice, when tragedy is accepted; Orpheus knows no peace until he, too, dies. Is this Bausch’s view of life? True peace only in accepting death? Finally, death, a final one for Eurydice and Orpheus’s first. One part of this movement that I really loved was that it was Orpheus’s singer (since he is a musician, I took this to be his soul) that embraced Eurydice when he’s ready to die while Bullion hunched with his back to the audience. At that point, his body didn’t matter; it was his soul that was still bound to life. Once the soul gave in, the body/dancer was allowed to die. When he did die, the choreography from Mourning was repeated, but by one of the dancers playing Cerebus, suggesting that even the guardian of death was grief stricken. Yes, I loved this ballet, but maybe give me another four years? Gillot as Eurydice was perfect casting; with her long limbs she reminded me of a spider, but in a good way, the best way really. Her lines simply do not end, and the expression she gave to Bausch’s movement made me believe the ballet had been choreographed just for her. In short, glorious. I wish Eurydice danced more. Bullion, well… I’ll just say I was unsurprised. What is it about him that fails to inspire? I don’t quite understand it. He did everything tolerably well (wobbly pirouettes but whatever, I can overlook that), but he just felt so blah. This ballet is about the most beautiful musician ever to live who loves his wife so much that he literally goes through Hell to find her and bring her back, only to lose her again. Plus, he does it all wearing beige underwear. There is no part of that description that should make anyone go ‘eh’ and yet, he did! That’s actually kind of perversely impressive. To make the evening a bit more challenging, The State Theater is not an opera house anymore, which means there were no sub or supertitles. Thank goodness I had a cheat sheet for the plot, because I think I would have been very lost (Everyone in Hades yelling NEIN! was pretty obvious, but my German stops there.) However, as much as I would have loved to know the exact words, not having a translation made me really focus on what was trying to come through in the choreography and how the music was sung. The singer for Orpheus repeating ‘Eurydice’ over and over in the beginning was touching and Eurydice’s singer was as close to an absolute meltdown as you can get while remaining beautiful, and Gluck’s music really is beautiful. I almost like not having the words flashing in front of me as it would have been much harder to simply watch and absorb everything. All in all, a wonderful finale to the summer ballet season here in New York. See you all for NYCB on September 19. Incredibly appropriately, I’m seeing the Greek trilogy: Apollo, Orpheus and Agon before jetting off for Paris to see the Paris Opera Ballet do… Balanchine. How perfect a circle is that? 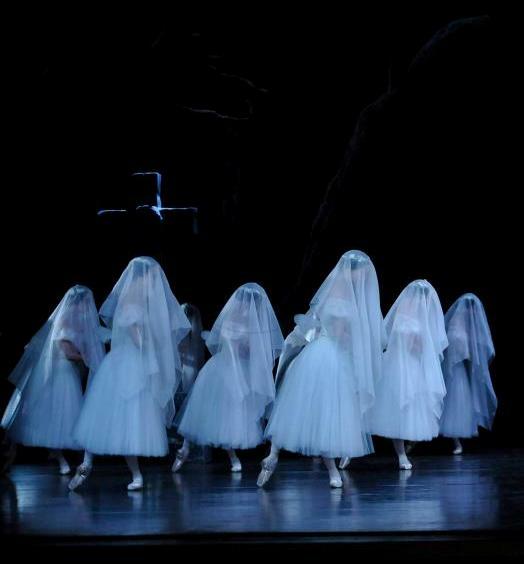 « Giselle », Ballet de l’Opéra de Paris en tournée à New York. Soirée du 18 juillet (Gilbert, Hoffalt, Hecquet). Soirée du 19 juillet (Osta, Leriche, Daniel). Giselle has never been my cup of tea. I know, I’m sorry, please don’t yell at me. I mean, I understood why so many people are obsessed with it: it’s the epitome of romantic ballet, one of the greatest classics ever, the most challenging role for a ballerina, etc. etc. Fine, whatever. For me, it was boring. The whole ballet felt like the story had to be there as an excuse for dancing, and the second act especially seemed like it had no plot. Consequently, I was bored. Last night I saw the Paris Opera Ballet’s production for the first time, and that part of my ballet life is over. The Paris Opera’s tour has been the biggest ballet gift I’ve received since moving back to New York; ABT has absolutely exquisite moments every season but something usually seems a bit off. 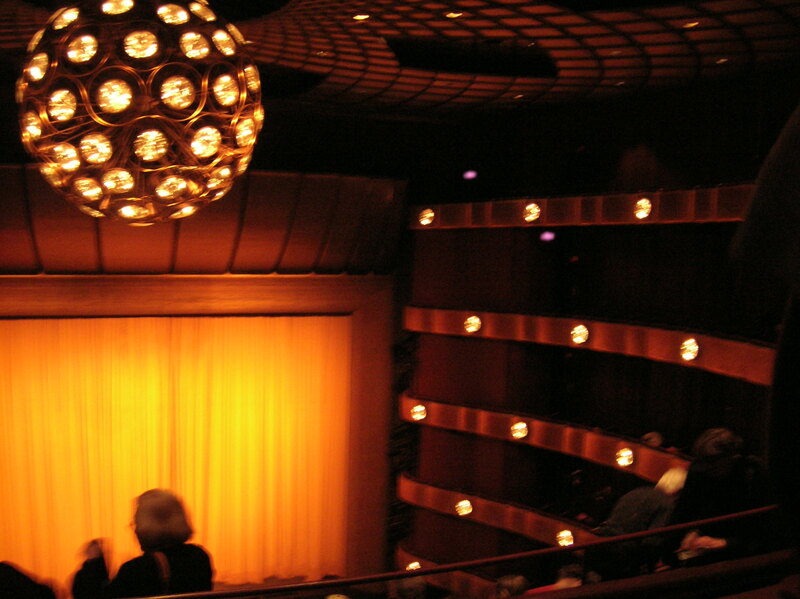 NYCB is fantastic at what it does: Balanchine, Robbins, Wheeldon, etc. but telling stories has never been their thing; even The Nutcracker (as much as I adore it) is really a series of self-contained segments that don’t really connect to an overarching narrative. Paris Opera Ballet gave me the best of both worlds. They have the technique, that’s never even a question, but they also know how to be in the story, how to make the steps serve the narrative; they know how to make a ballet come alive, even if everyone in it is dead. I’ve said that New York audiences love to applaud when a dancer does something technically brilliant, and that’s true, but every time they did during Giselle it felt superfluous. Like, of course they can hop on their pointes, their pirouettes are perfect and they can balance forever. Who cares? That’s missing the point entirely. I’m not going to write about technique, it’s unnecessary. Instead, let’s focus on how the dancers used it. First, a word on the corps de ballet. I’m pretty hard on various companies’ corps; for me, soloists and stars simply cannot shine as brightly if the corps is a mess. It’s very distracting if there’s an arm out of place or varied timing and, frankly mistakes like that make the entire company look bad. The Paris Opera Ballet is the reason I feel like it’s not only appropriate, but necessary to insist on proper corps work. Look! This is what you could be! This is what you’re aiming for! They were together and musical, proving that those values do not have to exist in a vacuum! Instead of individual members competing for audience attention by dancing separately, they worked together and as a result the group was breathtaking as a whole. The best part about this is that because I wasn’t distracted by various legs and arms, I could focus on how very musical and, well, haunting they were (sorry, but that’s the right word). Their synchronicity gave the illusion of a forest full of Willis; because every movement of every dancer was in perfect harmony, the stage could only show a tiny fraction of the ghosts. I could almost swear that those lines went on for miles. I’m not going to get over how truly beautiful this was anytime soon. My two Giselles were Dorothée Gilbert and Clairemarie Osta (in her final performance). Both dancers were lovely and both are largely responsible for why I now actually enjoy this ballet. They did have slightly different approaches to the character which I’d like to address through their respective ‘mad scenes’ and second acts. Gilbert, I felt, was the dancer that really showed Giselle losing her mind. She wavered back and forth on her pointe shoes, and instead of letting her hair fall down gracefully, she pulled half of it out of the bun, making her appear deranged. This, for her, was not supposed to be pretty. As she remembered time spent with “Loys,” Gilbert had a smile on her face and eyes that were completely glazed over while her body, almost without her realizing it, reenacted the daisy and the promise. She ran maniacally through the crowd of villagers, but she wasn’t saying “help me, help me.” Rather, she didn’t seem to realize she was running. As a Wili, Gilbert made the decision to keep her face completely blank; she kept her eyes glazed over. Mentally, she was dead, she didn’t consciously recognize Albrecht, and yet she knew him. Everything the girl Giselle wanted to say to Albrecht was expressed through the Wili’s movements. She couldn’t really see him or talk to him, but some small glimmer of recognition buried deep down made her protect him. Osta, by contrast, gave her Giselle more lucidity. In act one she knew exactly what was going on but she didn’t want to believe it. When she remembered Loys’s promise and their morning together, it looked like she was going through everything to reassure herself that it actually happened. “No, I’m not crazy, he said this, he promised me… how is this happening? This can’t be real.” Osta reached out for help as she ran and when she finally got to Albrecht, it was the final realization that he would never be the man she thought (aka Loys) that killed her. Her act two was the opposite of Gilbert’s but just as gorgeous. Her Giselle knew Albrecht; she actively wanted to protect him, but she was incorporeal and could not physically do as much as she wanted to. Physically, she was more ghostly, though her soul and mind were completely intact. She seemed to fight, to try to push beyond what she had become and break back into the mortal world in order to save Albrecht. Her interpretation made me doubt at times that Albrecht could see her; he sensed her as a protective spirit, but I’m not sure that he actually saw her as a ghost. When he woke up in front of her grave, he almost believed the entire thing had been a dream. It certainly was for me. Shockingly, I didn’t cry either night. Normally, I’m a huge crybaby at ballets, but I was far too busy thanking God/Louis XIV/Terpsichore/ whatever deity you pray to for allowing this ballet to exist. I think that sums it up. Balanchine in Paris & NYC : Can I offer you a glass of ballet? I was lucky enough to be in Paris a little over a week ago and had the opportunity to view some footage of the Paris Opera Ballet performing Symphony in C. Initially, I didn’t want to watch it. OK, actually the first time Cléopold tried to show it to me I think I ran away yelling about how I wanted to be surprised in New York (as I had done for Serenade). He suggested that, just maybe, studying and watching videos beforehand wouldn’t make the first performance less magical, but rather the opposite: knowing a little about what you’re seeing actually makes the performance way more fun and easier to understand. Go figure, he was right. As. Always. What a treat! Watching the Paris Opera version made me excited to see it in New York, but what I noticed most, and actually one of the aspects that I continue to love about the Paris Opera in general, is how totally in control the dancers are. Every movement is deliberate and had a calmness or coolness about it. They never looked rushed or harried even though the piece is not what I would call serene, the music is quite fast, and the steps are very technically demanding. This makes an excellent contrast to New York City Ballet, which I love for their energy and fire. Yes, every movement still has an intense level of precision and concentration (see: Whelan, Wendy), but the attitude behind the exact same steps is totally different. I wouldn’t call NYCB rushed, and they weren’t behind the music either, but every step felt fast and had sharpness. The dancers at NYCB have an attack that the Paris Opera does not use very often (exceptions: Forsythe, McGregor, etc). Please, please understand that I’m not saying that one is better than the other in any sense, just that they’re very different, and it’s fun to notice! NYCB always dances with a high level of attack and energy because Balanchine wanted it that way. He even loved when people fell as it signified that they were really giving everything they had on the stage. On the other side of the pond, Paris Opera feels softer and has a lightness that I rarely see in New York. It’s like a velvety cabernet vs. a glass of champagne. Both are fantastic, but totally different. Honestly, I could say the same thing about the companies’ respective homes. I live in New York, where everything is fast. In fact, everything happens NOW, and you’re probably late for something. “What are you waiting for, dear? Dance now! Do it now! You could get hit by a bus later!” Want to guess who said that? (It was Balanchine.) If there’s a piece that exemplifies the NYC speed, it would be Glass Pieces by Jerome Robbins (which they’re doing next spring. Oh yes, I’m excited already!). Paris, by contrast feels slower as a city. Yes, there were times when I was stressed and rushed there, but I’m trying to talk about the city’s atmosphere. How many people do you see power walking through a market? How many people run around with Starbucks cups because they need their caffeine fix right now? Some yes, but I would lay you money that they’re American students studying abroad. You feel the cities’ energy in the street, and you absolutely see it in their dancing. What a pleasure to be able to know and love both! 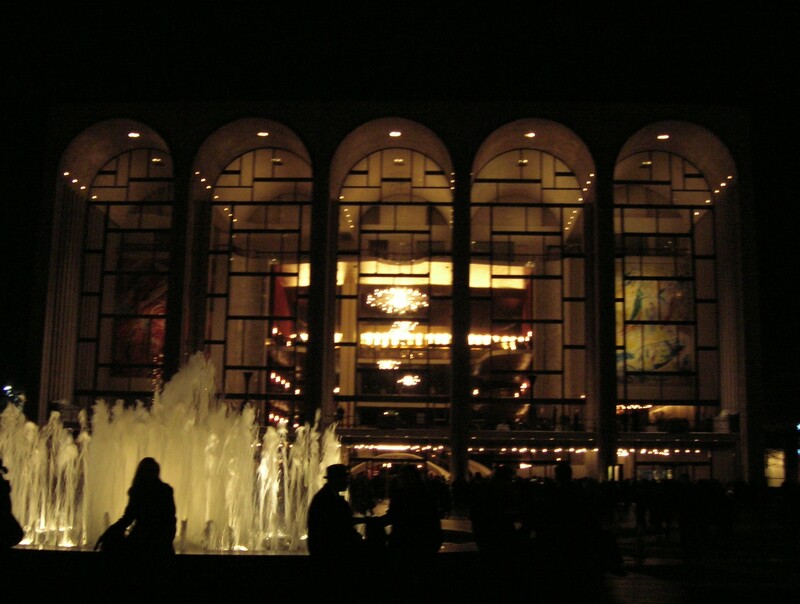 Next time: NYCB’s A Midsummer Night’s Dream. Commentaires fermés sur Balanchine in Paris & NYC : Can I offer you a glass of ballet?